J.K. Rowling’s official website has been updated to wish Arthur Weasley a happy birthday. 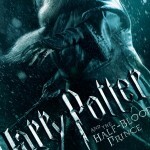 Warner Bros. has released three high-resolution posters from Harry Potter and the Half-Blood Prince featuring Harry and Dumbledore. J.K. Rowling received a Legion of Honour award today at an induction ceremony in Paris. She announced that her great-grandfather had received the same honour in 1924 for his courage in World War I, later asking French Harry Potter fans to pardon her for giving the book’s primary antagonist (Lord Voldemort) a French name. Video coverage of the induction can be found here, and a translation of her acceptance speech may be found here. 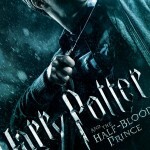 Harry Potter and the Half-Blood Prince “strike[s] a balance” between darkness and comedy, according to a new interview with Dan Radcliffe in Melbourne’s Herald Sun. The actor notes a conscious decision to tone down the darkness of the film in comparison with its predecessors. Radcliffe also comments on the style of comedy (“it’s much more subtle”), and cites director David Yates as a key player in helping the franchise earn cinematic respect. 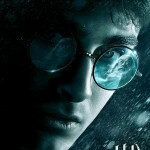 Harry Potter and the Half-Blood Prince has been named the most anticipated film of 2009 by AOL Movies. Other notable films on the list include the fourth installment of the Terminator franchise and a prequel to X-Men.